At our cookery school, we're famous for our fun. Interactive approach to authentic Chinese cooking. Within the spice mix, the dried red chillies are here to impart flavour, rather than to be eaten, whilst the sichuan peppercorns add a crunch and zesty tingle to your tongue, providing a mouthwatering spicy finish to this traditional dish. 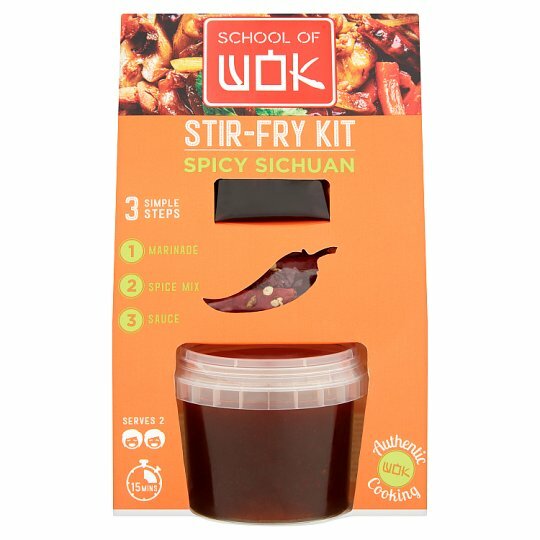 Cook our stir-fry kits for a simple treat to satisfy your weekly Chinese meal cravings! 1. Finely slice your meat or tofu and marinade for 5 mins. Finely slice your veg. 2. Stir-fry your veg and meat or tofu on a high heat for 3 min. Then add your spice mix. 3. Add your sauce and continue to stir-fry for 2 mins. Serve with a side or rice or noodles. Never lose your sizzle! High heat & smoking hot oil is essential before adding any ingredients to wok. Constantly keep your ingredients moving around the wok.